Introducing the Division F club leadership workshop series. 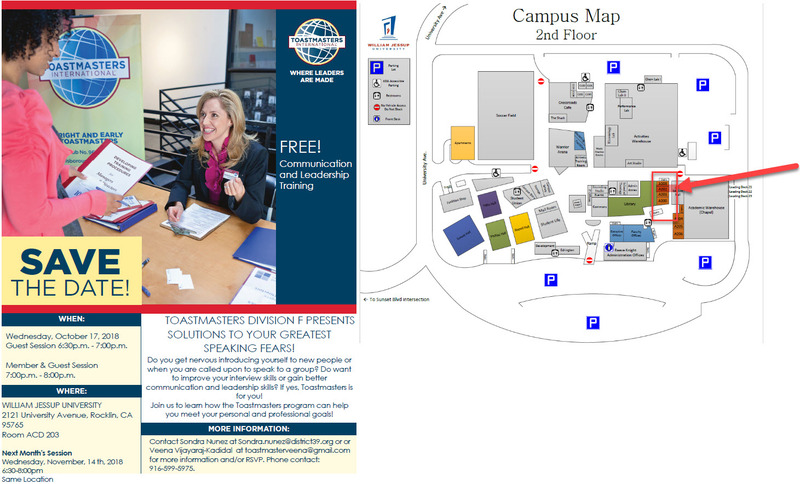 Bring questions, comments, concerns about all things Toastmasters. We are here to help! Guest session for the students of William Jessup from 6:30pm-7:00pm. Club leadership workshop 7:00-8:00pm.